Africell Triple Data ambassadors, Sheila Gashumba and Fik Fameica seem to have things all falling in place. With their Africell contract still running, the duo have penned yet another ambassadorial deal with Development Channel, a social enterprise. Also, NBS TV’s Douglas Lwanga who enjoys several endorsements penned the deal. The trio will be tasked to utilise their large social media following to spread awareness of the company’s activities including a phone branded ‘No drop out tablet’. 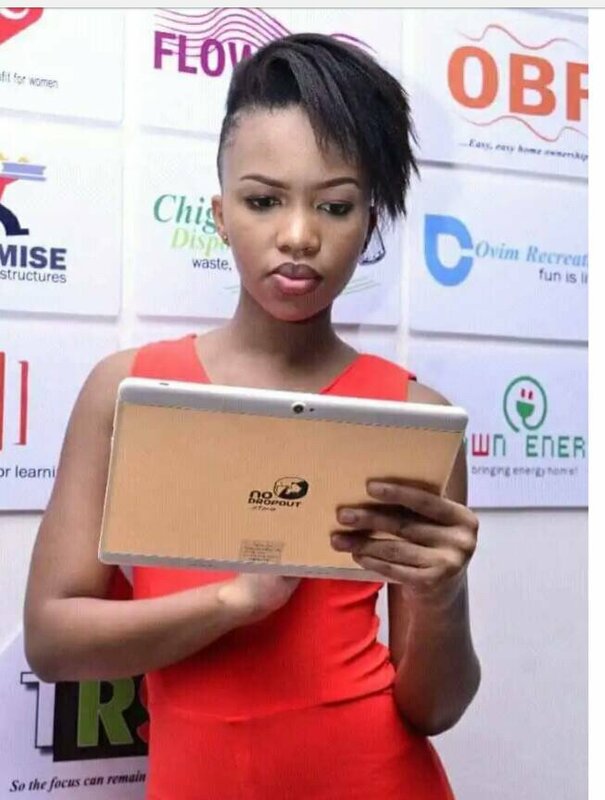 She shared the news to her fans stating; ”Deal signed with Development Channel No drop out tablet. I’m officially the brand ambassador of the No Drop Out Tablet made by Development Channel”.